Bin Gao is a Lead Researcher in Artificial Intelligence Group, Microsoft Research Asia (MSRA). 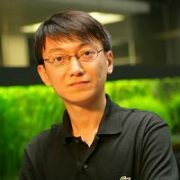 His research interests include machine learning, data mining, information retrieval, and computational advertising. He has published more than 30 quality papers in referred international conferences and journals, including KDD, WWW, SIGIR, WSDM, CIKM, ECML, ICDM, ACM MM, IEEE TKDE, IRJ, etc. He has 22 granted or pending US / international patents. Prior to joining Microsoft, he got his Ph.D. degree from School of Mathematical Sciences, Peking University, where his research efforts were on pattern recognition and machine learning. When he was a Ph.D. candidate, he also worked as an intern in Web Search and Mining (WSM) Group at MSRA for two and a half years. Before studying in Peking University, he got his bachelor degree from School of Mathematical and System Sciences, Shandong University. Currently I am focused on deep learning for text mining. Quality BS/MS/Ph.D. students who are interested in my research are welcomed to apply the MSRA internship program by sending me their resumes. Bin Gao, Taifeng Wang, and Tie-Yan Liu. Large-Scale Graph Mining and Learning for Information Retrieval. A half-day tutorial in the 35th International ACM SIGIR Conference on Research and Development in Information Retrieval (SIGIR 2012). Bin Gao, Taifeng Wang, and Tie-Yan Liu. Ranking on Large-Scale Graphs with Rich Metadata. A half-day tutorial in the 20th International World Wide Web Conference (WWW 2011). Bin Gao, Jiang Bian, and Taifeng Wang. The WSDM 2015 Workshop on Deep Learning for Web Search and Data Mining (DL-WSDM), in conjunction with the 8th ACM International WSDM Conference (WSDM 2015). Bin Gao, Jiang Bian, Richard Socher, and Scott Wen-tau Yih. The ICML 2014 Workshop on Knowledge-Powered Deep Learning for Text Mining (KPDLTM 2014), in conjunction with the 31st International Conference on Machine Learning (ICML 2014). Bin Gao, Jun Yan, Dou Shen, and Tie-Yan Liu. The SIGIR 2013 Workshop on Internet Advertising: Theory and Practice (IATP 2013), in conjunction with the 36th Annual ACM SIGIR Conference (SIGIR 2013). Esin Saka, Dou Shen, Bin Gao, Jun Yan, and Ying Li. The 7th International Workshop on Data Mining for Online Advertising (ADKDD 2013), in conjunction with the 19th International Conference on Knowledge Discovery and Data Mining (SIGKDD 2013). Jun Yan, Bin Gao, Zheng Chen, and Dou Shen. The 1st International Workshop on Web Entity Modeling and Applications (WEMA 2012), in conjunction with the 12th IEEE International Conference on Data Mining (ICDM 2012).